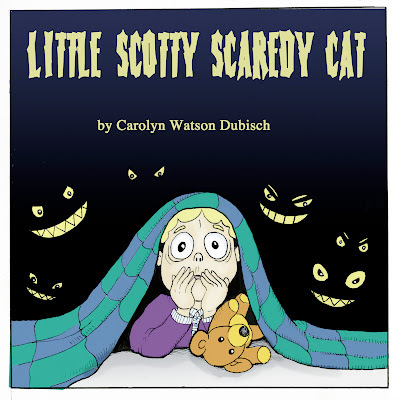 Here it is the re-release of "Little Scotty Scaredy Cat!" My e-book about a child who's terrified of mascot characters. 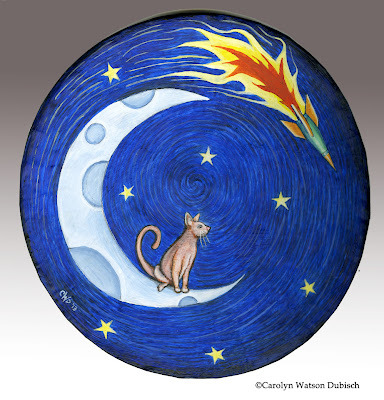 It used to be a free download on my website, but it's been re-edited, reformatted and has a number of additional illustrations. Anyway, we've been been watching obscene amounts of Star Trek lately. 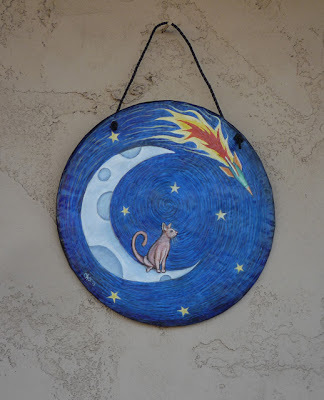 While we do this I've been painting. 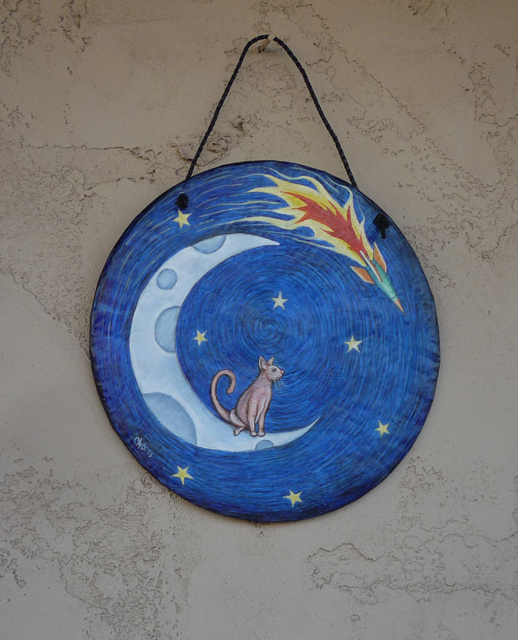 This is called "Moon Cat"
It's up on eBay right here!